Home > Home Decor and Accessories > Galvanized Serving Trays 2pc. 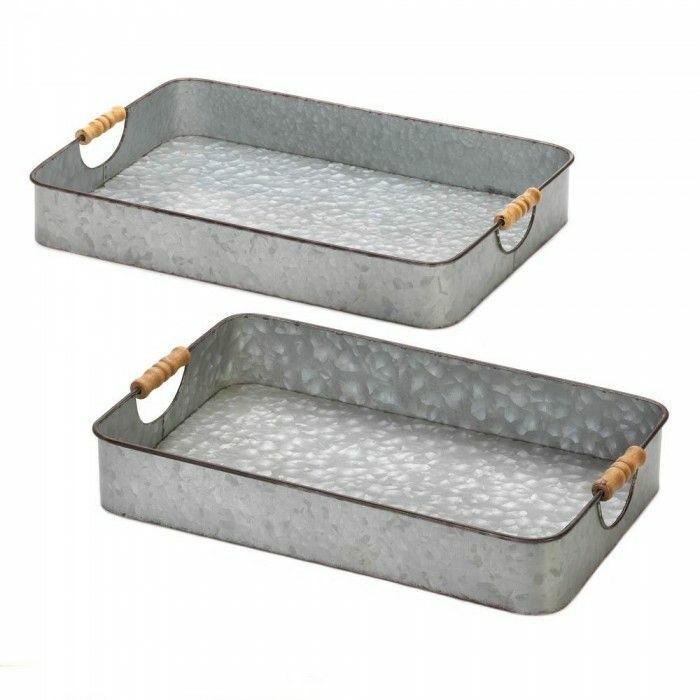 These galvanized trays make a great match with most any rustic dcor, but especially farmhouse and country inspired styles. Easy to carry with wood handles to serve drinks or appetizers at your next social gathering. Versatile and stylish they also make a fun container for organizing magazines, TV remotes, etc.